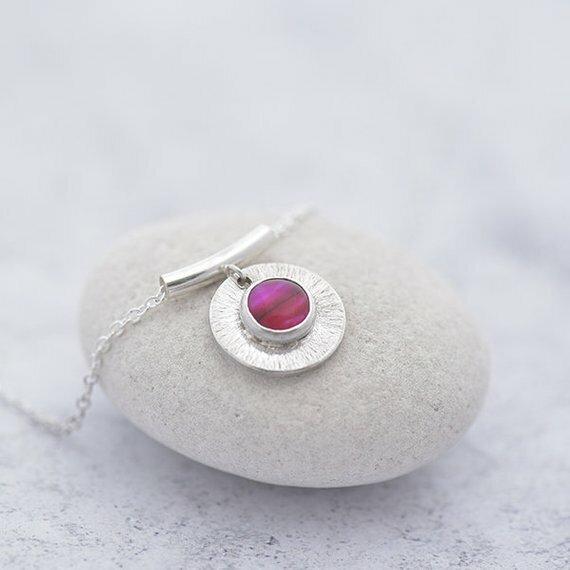 Red Abalone Pendant – Abalone Jewelry – Paua shell Necklace : A round silver pendant in sterling silver with hammered finish and red Abalone. The perimeter of the silver disc, Garnet necklace, has a subtle beveled edge, catching an extra glint of light around the perimeter. Supplied with a regular 44cm (18″) silver chain or 40cm or 50cm if requested when placing an order.